There are those lessons you learn from facing the fire and walking through it. Those things that you read and know will change the way you think about your life. This list is definitely an outpouring of the former, whether it will serve as the latter for you remains to be seen. So What Did We Wish Someone Had Told Us When We Started Graduate School? When I started asking around I thought I would put together a list specific to Literature and Religion (Post-)Graduate students. What I found is that many experiences as a Graduate Student in the Humanities are similar enough for this to be a general list; but know that this list largely consists of a synthesis of contributions by Literature PhDs and Religion PhDs with a smattering of those interested in the interdisciplinary field. As such there are alot of other people to credit with helping me with the raw material! This is partly the advice we would give ourselves if we could go back to day one, an encouragement to those of us still engaged in doctoral and masters coursework, theses, and dissertations, and a chance to express the best of what we know to those thinking about embarking on a PhD or MA program. That will come out again and again, but I thought i’d shout it out loud! These are the things and the attitudes which have helped my colleagues/friends and I get through the hard days, nights, weeks, and months. This is about the big picture and not just short-term success (and burnout). There are way more than 10 (like almost 30). I wanted to make it 10 because that’s a nice round lovely number but the advice and insight was so good that I had to let it run its course. I hope you will beg my indulgence and forgive the false advertising. 1. Grades are not as important as excellence. Write about what you love and do it well. Don’t waste time on topics that might or might not please a professor.If you don’t write about what you care about, you’ll feel like you’ve just spent countless hours and all-too-countable dollars playing games. Note: Excellence means meeting still more excellent people; this is a blessing and a curse. Have I forgotten a thought that came to me, which seemed of the truth? . . . I keep trying and trying to call it back, feeling a poor man till that thought be recovered to be far more lost, perhaps, in a notebook, into which I shall never look again to find it! I forgot that it is live things God cares about. Get a life. Don’t think that everything is reduced to thought. 3. Balance is the most important thing: work and work out, cook and go out, study alone and with friends. Don’t live like a hermit. Be curious: in life and in your research. Every once in a while, put away the textbooks and the articles and read something fun that has nothing to do with school. If you’re married, do not let your studies become more important than your marriage. You do NOT want your life to involve a competition between your spouse and your degree program; that risks bringing at least one to a premature end. Either integrate them, or divide your attention such that each gets a substantial amount of quality time. Basically, Figure out how your professional and personal lives go together. We’re still flailing on this one, or we’d give you more advice. 4. Plan carefully, but do not be dismayed when those plans must be revised or abandoned. In the same vein, err on the side of asking too many questions about what you are reading, your program, and career options, especially of fellow students. If you’re a believer, make your work about your faith, however indirectly (while being tactical and tactful); you will find your life is less bifurcated that way. Also, don’t believe everything you read in campus promotional materials; contact current students or recent alums and listen. Also, decide which you value more: time or money (most practical decisions are a choice between the two). Tip for young players: A PhD dissertation is not just an MA thesis x 2. Writing a (250 pg) dissertation is much harder than writing a (125 pg) thesis. 5. Know Thyself: Should you be doing this? It’s never going to be all roses and chocolates, but if you don’t love being in seminars, writing papers, catching flak, and having smart students mess up your class plans, why on earth are you considering a PhD? 5a. Just because you’re good at something doesn’t mean it’s what God wants you to do for the rest of your life. 5b. He may still ask you to do it for a time, for reasons that may or may not become clear. 5c. You can’t know whether or not you’re good at some things (or whether 5a applies) until you try. Teaching is one of them. 5d. The degree gives you options you wouldn’t otherwise have. It won’t lock you into a career path you don’t like. You can do that to yourself, but you don’t have to. Finally, know-really know-whether you are a teacher or a “serial scholar.” Actively shape your career accordingly. 6. Grad Schools don’t make mistakes with Admissions: That’s a big call, but what we are trying to say is that if you got in, you deserve to be here! You are probably not the only person in your classes wondering how someone like you got into grad school with all these brilliant people who obviously know what they’re doing and have read every article and know every term, date, title, and learned opinion on everything. Someone is probably thinking that about you, too. 7. Realize that the word “enough” has ceased to have any meaning. You could work for 1,000 days straight and still feel you have not done “enough” by someone’s standards. Allow God, friends, and family join your professors in deciding when you ought to set your work aside. Also, when you have studied something enough to realize how little you know about it, you’ll find it’s out of vogue, anyway. 8. A Sense Of Humor Is Very Important. Gallows humor is fun. So is nerd humor. Learning to appreciate both may save your sanity a time or two. My colleagues are fun people, who are witty and very funny. If yours aren’t – there’s always xkcd or Phdcomics. There are numerous similarities between fandom and academia. Embrace them. In short: LAUGH. Loudly and often. Especially at lit theory. Note: while you want you to be willing to laugh (often) at academia, never become cynical. Cynicism, when it has conceived, gives birth to paranoia, and paranoia, when it is fully formed, brings forth despair, and despair teaches you to find hope in unhelpful places. 9. Be Kind To Your Fellow Students. A Healthy Supportive environment that encourages excellence is great. Destructive competition amongst Grad students in a department is not. Don’t play that game. Your classmates are colleagues, not competition. Commit to supporting and being happy for the successes of those around you. You don’t need to be best friends with your colleagues, but you at least have your interest in your subject in common, and that’s a pretty good place to start a friendship. On days you have class, make plans to have dinner with your classmates afterward. It’s a great way to unwind, as well as to process thoughts spurred by class discussion. Speaking of unwinding: drink a beer every once in a while. We like wine and classy drinks as much as the next grad student, but we all need to just get our heads out of the clouds sometimes and remember how to act like regular human beings. 10. Be Especially Kind to your Grad School Friends. Realize all your friends are equally passionate about their “hang-ups,” and equally plagued with the feeling they’re playing games, and moderate criticism accordingly. On that same note: you don’t have to impress your friends; they like you. Cherish your friendships and let your friends do for you what they do best. You’ll never make it on your own, and phone calls home and online friendships won’t suffice. Your friends in the program and at church will be the in-person support you need to get through the tough times. (Note: the average person needs eleven hugs per day to stay healthy.) Try to make friends with people outside academia (some found this easier as an MA than Ph.D student). 11. Learn to make something with your hands. You could also find another hobby or sport you enjoy. Basically, find both a creative outlet and a physical way to work through your stress, even if it’s just running up and down the stairs in your apartment. You could run a half-marathon or go tubing or take up spinning (wool, not the bike thing): some of us have done at least one of these. 12. Don’t Do This For The Money. Seriously. It is no longer sound financial planning to get a PhD to make money. Read Robert Peters Getting what you came for if you don’t believe us. 13. Make friends with the Interlibrary loan Librarians, Reference Librarians, and Departmental Secretaries. These are the people who can assist you with your research and who generally genuinely care about your progress. This person will be an invaluable resource for departmental procedure, and usually an incredible source of support as well.They can also make things happen. Good things. On the downside. Try not to take departmental politics personally, even if you do get caught in the crossfire. In saying this, whether you like it or not: Campus/departmental politics do matter to grad students. They will affect you tangibly more often than you would like. 14. Don’t Dress like an Undergraduate. People are looking at you now. Dress for the job you don’t deserve, not the job you had last year. Or something like that. (along these lines, ladies, a skirt should always be longer than it is wide – please pass that tip on to others). For the ladies academichic is relevant website with appropriate academic workwear for graduate students (adapted to your style of course!). We heartily disagree with Ms Mentor, Emily Toth, that Female Academics should be frumpy. We are proud members of an active chapter of the well-dressed professors club! 15. Don’t take yourself too Seriously. So after we’ve told you to be Professional, now we are saying that you should keep things in perspective. Don’t assume anyone who disagrees with you is either foolish or an idiot. If they are smarter than you, listen and learn. If they are idiots, listen and learn. Learn how to *argue* without taking offense. Some of the best connections I have made has been during or after a debate with someone else about that work I’ve been reading or a related topic or author. In a similar vein, play devil’s advocate sometimes. It helps you look at a work in a different light. Go ahead and say that thing you thought was too dumb, obvious, silly, or smartass for a grad seminar. These are often the things that lead to the best, most fruitful discussion. Finally, Don’t compare yourself to others. It’s pointless and slows you down. 16. Be Bold. Write letters to authors you like, crash parties, email professors whose work you are interested in when you are going to be in their neck of the works for a conference, apply for internships you’re unqualified to succeed in. Have a baby or get a dog. Overshoot. What’s the worst that could happen? They can’t take away your birthday. 17. Keep Developing your social skills. Some call this networking, others call this socialisation. Still others call this being a contributing adult member of society. The reality is that a large number of people in academia have poor social skills; don’t forget to develop yours. 17. Read widely. This is the time to do it. You never know when you will learn something new and useful. Ask for help early in the process. How many times have I been stuck for weeks until someone pointed me to a bibliography or reference work I didn’t know existed? 18. Think Laterally and Listen. Develop real friendships with people outside your department/discipline and listen quietly and respectfully to their thoughts about your area of expertise. 19. Seminar Papers. Start thinking about paper topics early in the semester. They’re probably going to change at least once before–or after–you start writing, anyway.The best way to find a paper topic is to park yourself in the library for hours on end and read the primary and secondary literature. An interpretation that you think is painfully obvious is often not obvious to anyone else. (The second-best way is to make connections between dissimilar texts, especially from different eras or regions. )Try to write as many seminar papers around your diss. topic as possible. 20. Publishing and Conference Papers. You will sometimes get A’s on seminar papers. Those are not necessarily the publishable ones.Conference presentations are teachable moments. Use them as such, and not to simply air your learning or your wit. For more on this you could read Networking at Conferences or Why Should You Seek To Publish? which are posts from The Basics series. 21. Make Friends with Theory; or at least bury the hatchet. You don’t have to be a theorist or even like theory to succeed in grad school, but you do need to know it and, at least ostensibly, respect it. If you hate theory, then you must understand it and respect it as an enemy. If you love theory, then you must respect its limitations as an ally. Try to decide early on what school of criticism/theory best fits you and start reading and writing in this early — you’ll be much better prepared for writing your dissertation. 22. Learn the fine art of BS. Don’t bs so much that people think you’re full of crap. Do bs enough to discern your inner literary urges and possible contributions to the dungheap of humanity (oops, those two sound a bit gross). If you found the last two points offensive, try this instead: Be real with yourself and those around you as you stumble around trying to find your voice. You can contribute to the world – yes, you can! 23. Be Realistic about what you can achieve in 24 hours. However long you think it will take you to accomplish a task multiply it times two and then once again to include the administrative aspect that you probably weren’t considering at first. Every reading assignment takes longer than you think it will. We’re STILL figuring this one out.You need to eat, sleep, exercise, and take a shower. Even if it means that you think about paper topics in the shower. Take a shower. The rest of us appreciate it. 24. Fuel your Body. Please Eat properly. Not only is it common sense. You will have the energy to do the thinking you need. Don’t eat that stuff that isn’t actually food they sell in most concessions. It doesn’t count as food. Coffee is fine, but being addicted to anything is probably not good for your body. Cook extra and freeze in portions. Make a huge tub of trail mix (it’s cheaper to make your own), and take a bag of it with you on those marathon library sessions.Take a bottle of water with you whereever you go; its suprisingly easy to get dehydrated.. Two words: a Crock-pot. Every kitchen needs one and they may mean you eat at those times when you barely have time to sleep let alone eat. 25. You are Fortunate. Remember at least weekly that you are among the lucky few that gets to do what they love for a living. Don’t obsess too much (but wait, you’re in grad school – recognize that you are obsessed, respect your obsessions, but don’t let them manhandle you). 26. The simplest pleasures may be the most heartening. You like flowers, buy them for yourself. You enjoy shopping, take a couple of hours once a month. You like the water, or the trees, then sit by them and read. Spend time with your spouse and children. Celebrate milestones. Do silly things. This is not a prison sentence. On a similar note: Go on ahead and write that crappy novel you’ve been thinking about. Just don’t show it to us (well, some of us might be interested, but only a couple). Speaking of which: – DO NOT sign up for Na(tional)No(vel)Wri(ters)Mo(nth) unless you plan to have absolutely everything done for your classes before the end of October. You Will Be Sorry. 27. Keep what’s important Important! Keep yourself grounded in the Word, especially promises like Romans 8:28. Take time to worship. We’ve all been in the place where we never thought we’d have to miss church to work on a paper but Grad school can bite you in the most unlikely ways. Quiet times and prayer triplets can help keep you grounded and keep life in perspective. This may be one of the toughest times in your life. Keep running the race. 28. Find the Joy! Seriously, if you are miserable all the time. Go and get a different job. This should not be torture. There are some other things we thought we’d share. You will never read everything. You can try and read everything but it isn’t going to happen! Prioritise and try to read as much in the breaks as you can without going insane. You are not what you write…. We hope that all of the above makes this statement unecessary but just in case we need to say it again. Your self-worth should not be based on your output. PS: We have another post especially for those who are ABD in the next couple of days! 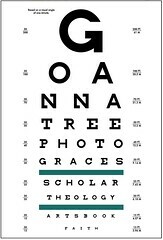 Anna Blanch is founder of Goannatree, and a PhD student in the Institute of Theology, Imagination, and the Arts at St Mary’s College, University of St Andrews, Scotland. This is her third graduate degree in as many countries! She also holds a Law degree from the Australian National University and an M.A. in English Literature from Baylor University, Texas. Your Graduate School Survival Kit. I sent this to my friend. She is getting her MFA and needs to hear these important points. I'm glad it's proving to be useful! This turned into a much longer post than i had planned but there was just too much good stuff to make it only 10! Oh no, it was quite worth having it be more than 10! I loved this. I laughed out loud for #21 and said amen to #4, especially the bit about not bifurcating faith and scholarship. @E: Glad to make you laugh. I did say that I had witty colleagues! You should see us play Madlibs! (Take one ancient Norton handbook of English Lit and go.)' Kind of appropriate to say Amen that that! but true, it probably helps that most of us are interdisciplinary – and i certainly am – but even those not pursuing interdisciplinary degrees agreed that this is a vocation and not just a job. @ Preston: I am so glad that the GG paper has come to fruition and that it received its first exposure here! 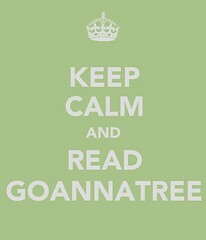 that's exciting and what I hope Goannatree is all about. Why don't you send me an email with the abstract and all the conference details and i'll put together a post with a link to the original article! @E. PS….thanks for dropping by to comment! On behalf of the majority of the population, I would like to make some type of angry objection to how this ignores all of us who aren't getting degrees in english or philosophy. @andy: on what front(s) have we offended your sensibility? 😉 Do you have your own list – I think I'd be happy enough to let you guest post on "Things I wish I knew when i started a PhD in Math/Sciences…." My recent post What do Sir Francis Drake and mediocrity have in common? Today’s post summarizes the posts in this series! After reading your "10 Things" I must say that knowing Michael has made such grand friends and wise, as you obviously are, makes writing those monthly checks for his undergrad studies much easier. Thanks for your "10 Things" which, by the way, apply equally well to life in general. Brilliant. Thank so you much for this. Brilliant. Thank you so much for this. I love these points, am going to save them and share them with my daughter when she goes to graduate school (think 18 years down the line). The stress on 'balance' is what I find really great. My only suggestion would be something a professor-friend told me a while back, and this is really just a blending of things you already noted: doing a PhD is not about how much you know; it's about how much you can endure. This is not to say that knowledge is not important; it's simply saying that what one does (or, has to do) with that knowledge and the amount of time, energy and frustration it takes will require massive amounts of endurance. i'm writing a post on what "Balance" actually is at the moment! hopefully you will find that interesting too! you're welcome. Do you have any additional suggestions? hope you made it back to the states safe and sound! True! I think i may need to note it more specifically. It reminds me of a joke/question a friend of mine mentioned to me last year – what's the difference between someone with a PhD and someone who is ABD? a finished dissertation and a successful defense. You can be all kinds of brilliant and not end up with either if you don't persevere…at least this is what i keep telling myself! I am thinking of breaking down this post into a series of shorter posts that are a little easier for people to engage with – This post is LONG! – what do you think? I really want this to be helpful to those that stumble upon it! Thanks for taking the time to give me your suggestions – i appreciate it! Nice one (on the joke, that is); I'll have to remember that one. With regard to your thought of breaking down this post, I can certainly understand your desire to do so. This post has indeed grown from the promised '10 things' to a useful 28+some, but that is not necessarily a bad thing. However, for me (since you asked), I happen to like the list version because it gets me thinking and it give just enough so that I can tailor the bits of insight to suit my own needs. Although, this is not to say that an exapanded version would not be as beneficial; I'm quite sure that it would be. The amount of goodness you've been able to pack into these little bite-size pieces is enriching enough; I can only imagine what would happen if you opened each one up even more. WOW! What a GREAT LIST! Some of these I did, others I wish I had. I think it's a great list. I would have recommended that you made it into a series so that people would be able to comment on each of the point. It overwhelmed me because there was so much good info. Kim – i understand what you mean. it's funny because i've had other people say they like it all in one place. i think i might go with a happy medium and write shorter posts corresponding to a group or each of the points so more discussion can be had on the individual points, but leave this mammoth post here! what do you think? Thanks for the comment and i appreciate you taking the time to suggest a way of improvement! i love the honesty! It's funny because it was my colleagues at the university where i did my MA program that helped me put this together. I was finished my Masters program but i was hoping this list would be helpful to others. is there anything you particularly wish you had done? what was your most important lesson? It's a pretty long list! I'd be worried about you killing a tree or two if you did that but thanks for the feedback and vote of confidence in what we were aiming at with this list. It should be encouraging, motivating, a little chiding and just a little pushy. We want you to be in Graduate school for the right reasons and we want you to do well! You are more than welcome to link to this post. I have been asking commenters whether they think it would be helpful if i broke down the post and wrote more detailed posts on each point. What do you think? is this something that would be helpful to you? Best Wishes on your graduate study. Let me know how it goes! I like the idea of breaking it down into smaller posts. I don't think you really need to elaborate on each item, since too much will bog down the simplicity of it. I'll definitely keep you involved in my progress during school! And I'll be reading your blog often! I love number six. People often don't have enough confidence in themselves! Do you think I could recommend this to students about to start post grad study at Sydney Uni? I really couldn’t ask for more from this arictle. I'll keep your suggestion in mind. Maybe i could suggest further reading or other blogs on each point? or would that bog it down too much? Exactly – actually this one was something one of the Assistant Dean's of the Graduate school where I did my MA used to tell every incoming class at orientation. they even used to do a skit where they pretended that they'd made a mistake….the point was that they don't make mistakes! You could always bookmark and come back! what do you think about me breaking this down into smaller points – maybe one on each point. Would you find it useful to get these in your feed? Of course Matt. I have an article i wrote for CASE magazine about grad study that you might find interesting for that purpose too. It was published in 2007. When do you need it by? send me an email at goannatree_at_gmail dot com . We could talk about whether this needs to be rewritten for an Australian audience. I love number 2… so important to remember.